as part of the BR-series (BR = Bavarian TV and radio) “Jazz on the road” and is now available for the first time on CD. 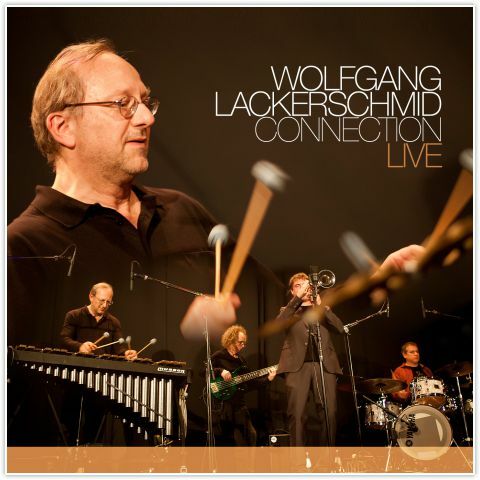 Lackerschmid is a famous vibraphone virtuoso, who already played and recorded together with the legendary Chet Baker and Attila Zoller. His bassist Mark Egan is also a well-known and well-reputed musician in Jazz and Pop. The other two member of the connection are Tiger Okoshi student Ryan Carniaux and drummer Karl Latham. The repertoire of the formation consists mostly of compositions by Wolfgang Lackerschmid himself. Their various groovy rhythms are often Brazilian influenced. The congenial attuned band consists entirely of high-profile international jazz virtuosos who are playing together in an incredibly harmonic way.